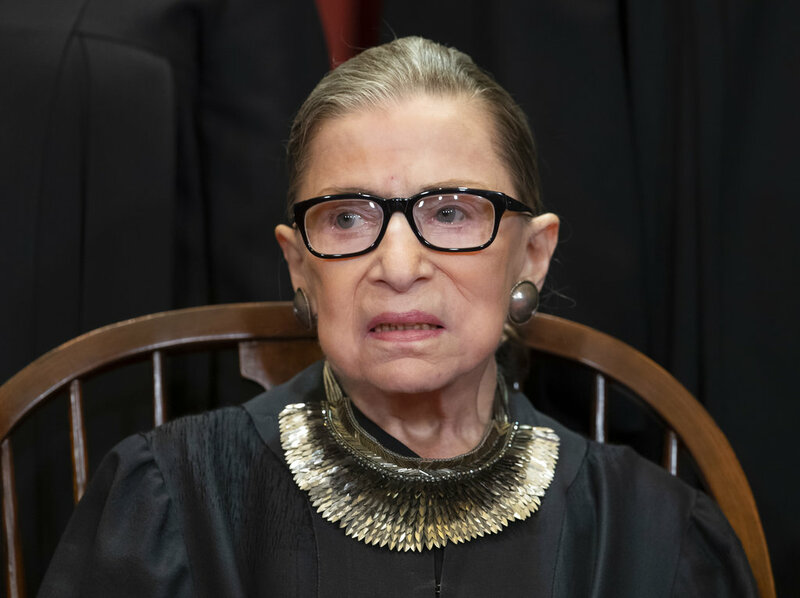 Associate Justice Ruth Bader Ginsburg sits with fellow Supreme Court justices for a group portrait at the Supreme Court Building in Washington, Friday, November 30. 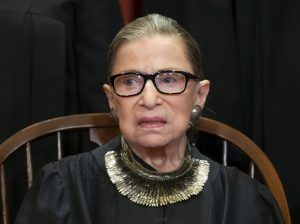 The Supreme Court says Justice Ruth Bader Ginsburg has undergone surgery to remove two malignant growths from her left lung. It is Ginsburg’s third bout with cancer since joining the court in 1993.